Federal Criminal Cases Defense Lawyers - Oberheiden, P.C. Both Article III and the Sixth Amendment of United States Constitution guarantee all citizens the right to a trial by jury in criminal cases. The United States Supreme Court has expounded upon this right by explaining, “The Constitution gives a criminal defendant the right to have a jury determine, beyond a reasonable doubt, his guilt of every element of the crime with which he is charged.” United States v. Gaudin, 515 U.S. 506 (1995). The right to trial by jury applies equally to individual and corporate defendants. However, the right to a jury trial does not apply to military trials, probation revocation proceedings, or juvenile court proceedings. The right to a jury trial only applies to serious – as opposed to petty – offenses. The seriousness of an offense is determined by the maximum potential penalty for conviction of that offense. The legal standard for seriousness is a penalty of six months’ imprisonment; in other words, if an offense carries a maximum penalty of six months or more in prison, it will trigger the defendant’s right to a jury trial. Notably, the measure of seriousness is based on the offense’s potential penalty, not the sentence the defendant actually received. Similarly, a defendant facing multiple petty offenses will not be entitled to a jury trial, even if the combined total of the penalties he faces exceeds six months’ imprisonment. Federal juries are composed of twelve jurors. The twelve jurors are chosen from a larger group of individuals, called an “array,” which is randomly selected from a fair cross section of the community. Both the prosecution and the defense are allowed to ask questions to members of the array in a process known as voir dire. 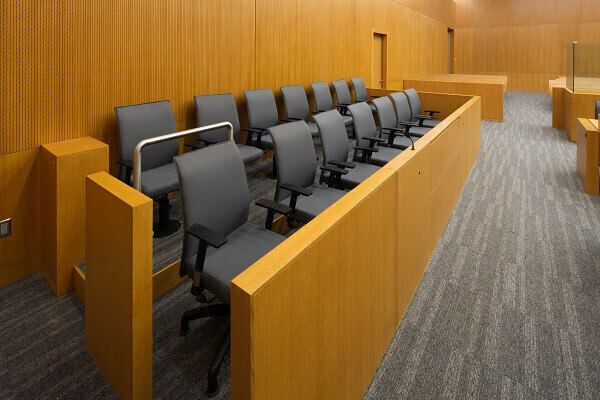 The purpose of voir dire is to allow each side to learn about the backgrounds of the jurors and identify potential biases they may have about the case or the defendant. Following voir dire, each side is permitted to narrow the jury pool by making challenges to individual jurors. Both sides have an unlimited number of “challenges for cause.” A juror may be challenged for cause if he does not meet the statutory requirements to be a juror or if he is not impartial to the case. Each side also has a set number of “peremptory challenges,” which are challenges that do not require a showing of cause. The number of peremptory challenges in a particular case is determined by the severity of the offense. Once a jury is selected, the members are charged with evaluating the factual evidence presented in the case and determining whether that evidence supports the charged offenses beyond a reasonable doubt. During deliberations, the jury must reach a unanimous decision regarding each element of each charged offense, which means that all twelve jurors must agree on the verdict. A rare exception to the twelve-member unanimous verdict rule occurs when one of the jurors is dismissed for “good cause” after the jury has retired to deliberate. Examples of good cause for a court to dismiss a juror include illness, family emergency, observance of a religious holiday, or failure of the juror to follow the court’s instructions. A court will not have good cause for dismissing a juror merely because the juror does not agree with the other eleven members and is thus impeding a unanimous verdict. After the verdict is announced, either party, or the court itself, has the right to request a poll of the jury. The purpose for polling the jury is “to ascertain for a certainty that each of the jurors approves of the verdict as returned; that no one has been coerced or induced to sign a verdict to which he does not fully assent.” Humphries v. District of Columbia, 174 U.S. 190, 194 (1899). If a jury fails to reach a unanimous verdict, the case will result in a mistrial. If a mistrial occurs, the entire case may be re-tried in front of a new jury. Oberheiden, P.C. is a criminal defense firm with headquarters in Dallas, Texas that services clients throughout the United States. Clients seek our services to assist in federal grand jury investigations, audits, and criminal trial matters. Many of our attorneys have had successful careers as Department of Justice prosecutors and now offer their court room expertise and experience with the criminal justice system to clients of Oberheiden, P.C.. If you are facing federal criminal charges, you should speak to an attorney as soon as possible. Call Oberheiden, P.C. today for a free and confidential consultation.